Books on my Spring TBR. 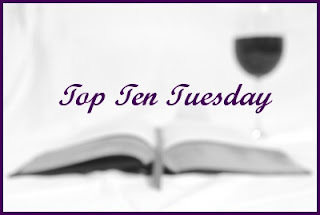 I've got a few books on my historical fiction TBR for this year, and I'm happy to share them with you for this week's Top Ten Tuesday. Please note that these are in no particular order, and are only the books on my TBR that I haven't read before. I'm planning on re-reading a few that I've read before, but I'm not going to include those on here. Maybe sometime for another freebie I"ll talk about my top ten must-reread books... But for now, my top 2018 historical fiction TBRs.